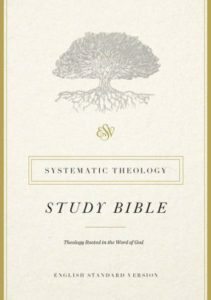 Systematic theology remains “the queen of the sciences,” and the value and benefit of a clear grasp on Scripture’s major areas of teaching (doctrine) can scarcely be overstated. To grow and remain firm in our Christian profession and witness we must understand these doctrines, and we must see how the Bible actually presents them. This seems to be the kind of rationale that brought about the new ESV Systematic Theology Study Bible. It’s a great idea, and it’s a wonderful resource for Bible readers. It includes 25 comprehensive yet concise theological summaries, and it features introductions that highlight the contributions of each biblical book. But its chief value lies in its 400-plus doctrinal summaries, in text, that demonstrate how a given passage presents some area of doctrine—an excellent aid to Bible reading. There are many useful study Bibles now available, and this is surely one I’ll recommend heartily. 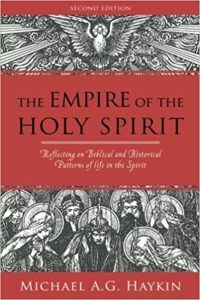 This thoroughly delightful book focuses on various aspects of the person and work of Spirit that are of critical importance for theology and Christian life. The curious title reflects the vital role of the Spirit in establishing the kingdom of God. Deeply informed—exegetically and historically—and warmly applied, now with a chapter on Spurgeon’s doctrine of the Spirit. Haykin, always an enjoyable read, is here at his best. If you’re setting out to study this important area of biblical teaching, this is a great place to start. In short space he covers a wide range of specific topics with keen insight into each. Deeply informed yet simply delightful, well within the grasp of every reader. One of the most enjoyable books I have read in a long time. There is scarcely a more important question a Christian could ask, and there is scarcely a Christian who has never asked it: How can I know that I’m indeed safe in Christ? 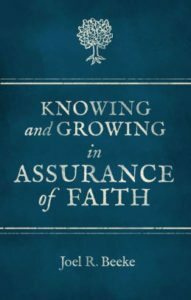 The doctrine of assurance (and its application to the believer) has been an area of interest to Joel Beeke for a long time, and in his newest work we have the fruit of his years of thoughtful consideration. Richly informed—both biblically and theologically in the Reformed and Puritan tradition—and warmly applied, this is perhaps the best first book for Christians seeking answers. His treatment of the subject is wise, avoiding simplistic answers and errors on all sides, and is both theologically concise and also pastorally sensitive. A welcome contribution to the literature on this vital doctrine. The gospel promises both rescue and transformation, both acceptance and change—real change that affects even the tongue. 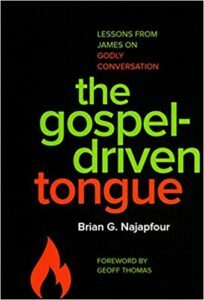 The apostle James famously teaches us how—and how not—to talk, and Brian Najapfour examines that teaching for us here with keen application. Everyone who can speak needs the instruction found in this little book. With accompanying study questions to each chapter, a profitable little book for personal study and group discussion. Do your family, your church, and your friends a favor, and take this book seriously. 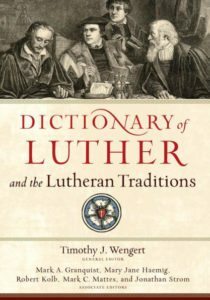 A massive compendium of all things Luther and Lutheran appropriately prepared for this “Reformation 500” year. No, I haven’t read all 880 pages of this tome; I’ve only scanned and spot-checked. The more than 600 entries are primarily historical and descriptive and show a close acquaintance with Luther. As Lutheran tradition unfolded, of course, changes took place for good and for ill, and they are reflected here also. This valuable resource is one every church history buff will want to have available. 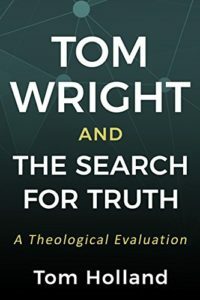 Few people have the breadth of learning and close acquaintance with the works of N. T. Wright that Tom Holland demonstrates in this book. An in-depth analysis of Wright has been needed, and Holland serves as an excellent guide. For those who are acquainted with Wright, Holland is a must.